University of Indianapolis School of Education students traded their spring break for the chance to give back and gain valuable experience in the process. 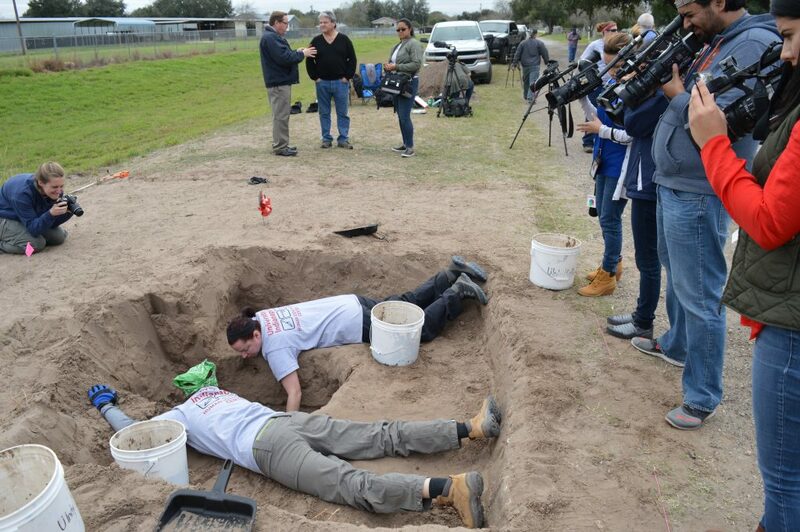 Teaching majors Mizraim Aguilar and Heather Wignot taught at Cathedral High School during spring break. Both will graduate in May 2017. Aguilar, who specializes in Spanish teaching, taught two classes. 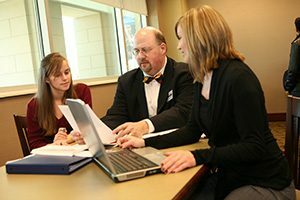 He appreciates the real-life experience in the classroom, as well as the preparation that is incorporated into the School of Education’s curriculum for student teachers. A financial literacy program at the University of Indianapolis aims to teach young adults not just how to manage their money, but how to understand its value. Dollars and $ense, a partnership between UIndy and 100 Black Men of Indianapolis, has educated hundreds of students since its debut in 2002. Andre Givens, who is the chairman of Dollars and $ense, has been volunteering with the program since 2005. That’s when he joined 100 Black Men of Indianapolis, a youth development organization that serves Indianapolis youth annually through mentoring-based educational programs. 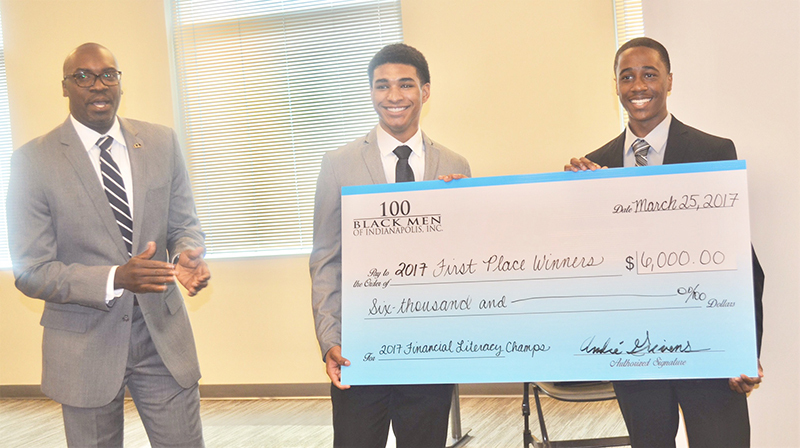 The organization held its 15th Annual Financial Literacy Investment Competition on March 25, when students competed for first-place rankings and scholarship awards. 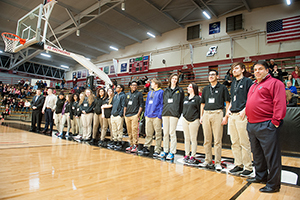 The UIndy Dollars and $ense first place team won $6,000 in scholarships to any accredited college institution. It was the culmination of months of training to boost students’ knowledge in investment strategies, asset allocation and diversification through the selection of stocks, bonds and real estate investment trusts. The University of Indianapolis announced today the launch of the R.B. Annis School of Engineering in the Shaheen College of Arts and Sciences through a transformational, $5 million gift honoring one of Indianapolis’ most revered scientists and innovators. 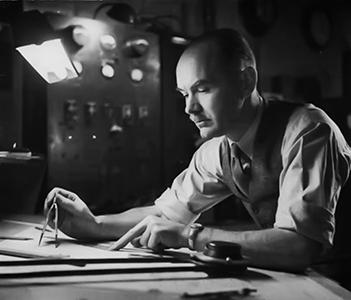 The gift, given in honor of the late Robert B. Annis, an inventor and scientist, will advance the University’s strategy to address Indiana’s increasing demand for skilled engineers and STEM-related professions. The Indiana Department of Workforce Development consistently ranks STEM careers among its Hoosier Hot 50 listing of the top in-demand careers for the state. The University of Indianapolis Provost Office was the scene of a “crime” recently as the Indianapolis-Marion County Forensic Services Agency (IMCFSA) trained a new forensic scientist and provided a real-life learning experience for criminology students. To the untrained eye, it might have been a disturbing sight: blood spatter, bullet holes – and even a dummy murder victim, “shot” to death and slumped behind a chair. 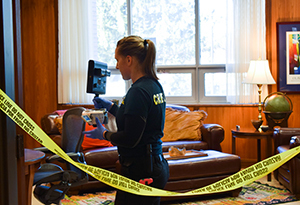 The staged scene was all part of the IMCFSA’s training exercise, conducted in partnership with UIndy’s Department of Sociology and Criminal Justice, designed to prepare novice crime scene technicians for the real thing. The University of Indianapolis has launched a new full-scholarship program for graduates of Christel House Academy South, further strengthening a longtime partnership between the two learning centers. The program, launching in the Fall of 2017, includes two components: one covering full-tuition costs to attend the University of Indianapolis and another providing a room-and-board scholarship for up to 10 students. Eligible students must have successfully completed dual credit courses taught by University professors at Christel House. 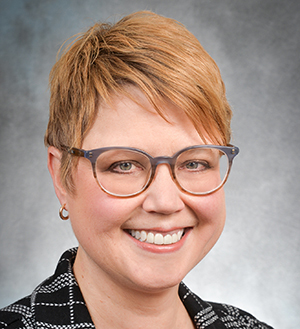 The University of Indianapolis School of Education’s iLEAD program recently received national recognition through its specialized professional accrediting body, the ELCC (Educational Leadership Constituent Council). iLEAD is a School of Education graduate program offering a Master’s of Arts in Educational Leadership, leading to a principal’s license. The goal is to prepare transformative instructional leaders with 21st century skills. What would a sustainable energy plan for Indiana look like? An ambitious project involving a diverse group of University of Indianapolis and IUPUI students is actively working to answer that question. 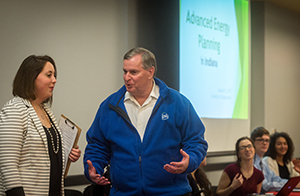 The students, led by former Indianapolis Mayor and Visiting Fellow Greg Ballard, held the first in a series of meetings to obtain public feedback on their proposed energy plan for the state. 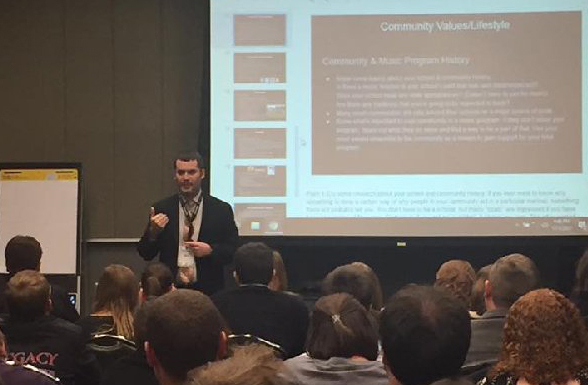 During a recent community conversation on the UIndy campus, the students presented their ideas and took questions from concerned citizens, who encouraged the group to consider issues like consumer education, bike lanes or the unique challenges faced by cash-strapped non-profits wishing to pursue sustainable energy practices. The project includes ten students from the University of Indianapolis and two from Indiana University – Purdue University at Indianapolis (IUPUI). 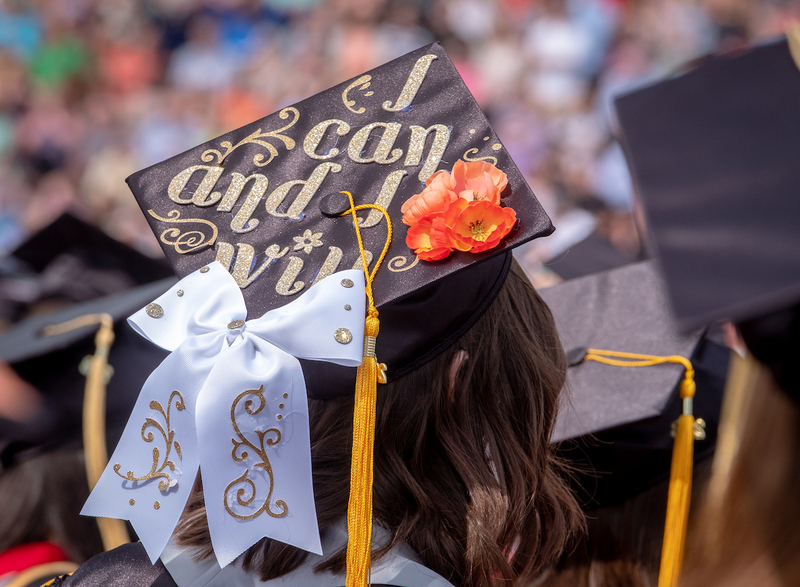 The students began studying Indiana’s energy needs last year as part of a project supported by the Central Indiana Community Foundation and the Simon Family Foundation. “We want to tell people what this generation thinks about energy in the state of Indiana. How do we want to position that going into the future?” Ballard said. A University of Indianapolis research team in January continued the painstaking work to identify the remains of dozens of migrants who perished during the rough trek in to the United States.